This Article is about “How To Get More Followers on Pinterest” Here is a Fast way of Pinterest Follower Hack. You increase your followers in no Time. I will introduce a new technique or method to get the Pinterest followers fast. Pinterest is a famous social media website, and it has the over 750 million visitor every month. Pinterest is a very effective and handy social media tools for content creaters and bloggers. It is mind blowing how many businesses and bloggers are having great success with Pinterest. How Pinterest can be effective for you? It will help you in building credibility & authority in your specific niche. It can increase your website traffic in short time. You can increase your email subscribers with pinterest and you can share the news letter on these emails for traffic and extra visitors. Pinterest a great source of free marketing for business, as it is also considered as a search engine where millions of visitor are searching different queries. If you are sitting around and waiting to get more followers to flock to you, you will keep waiting for long-time. 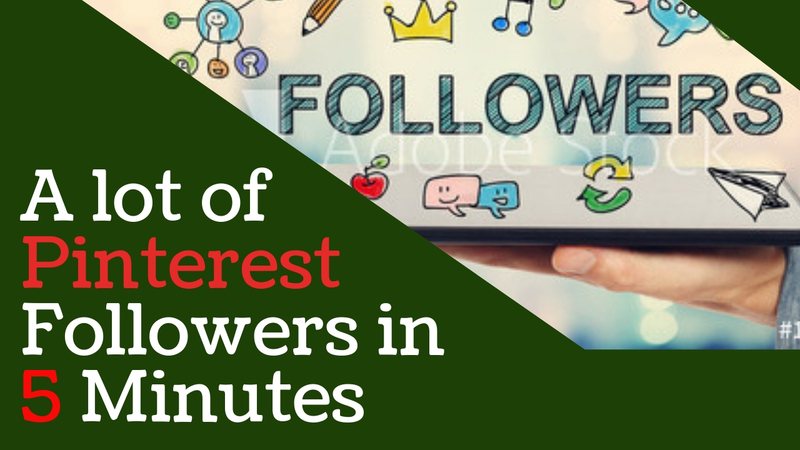 A famous technique to get more followers on pinterest is to following your competitor’s followers. Since you and your competitor have the same type of target audiences, therefore there are chance that if you followed your competitor’s followers, then in return they will follow you. This is most common practice that most of pinterest users are following. In this article i will introduce you a new technique, which will increase your follower very fast in a very short time. First, like the old method, you need to find out the famous profiles (competitor) in your niche.The profiles to whom a lot of people are following. You can find such profiles very easily. 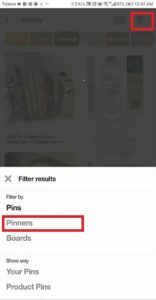 Just type your keyword in Pinterest search box. Pinterest will show you the pins by default. To find people profiles go to the filter and then select the people. On mobile app you can select the “pinners” From filter button on top right corner. Now you will find some famous profiles, some profiles with RED tick or with arrow sign. These profiles has the a lot follower and most of pinterest users are following these followers. In this way they are getting the follow backs. But this is the old technique which required to create the list of all followers for un-following after the specific amount of time. This method is also time consuming. Also you need to keep the record of every profile you followed. 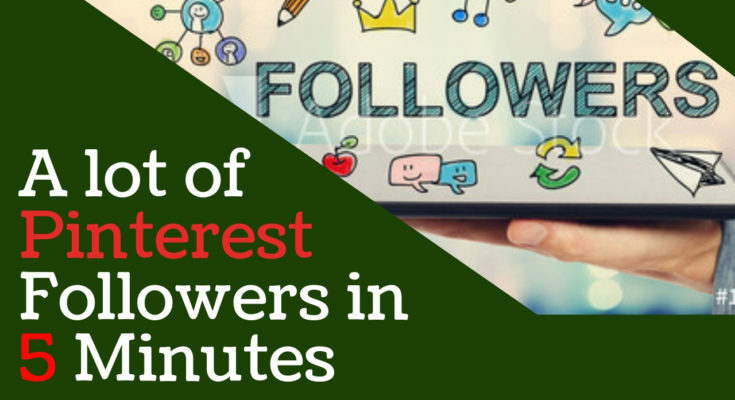 So here is a new and easiest method for growing pinterest followers fast. All you need to do is, find all the famous profiles in your niche. As you can see that i have followed atleast 30-40 such types of big profiles according to my niche. For getting the new followers i will un-follow all these users or profiles. But i will not refresh the pages once i done. And then i will follow back these users or profiles. Now what will happen by doing this. It is very simple, whenever you are following any new user on pinterest, you will find yourself in his followers list at top. As i said that i had followed most famous users in my niche and other new users are following these followers for getting new follower in niche. People are following there followers of these famous profiles. By un-following and then re-following will make you top of their followers list. And the users who are following their follower will follow back. 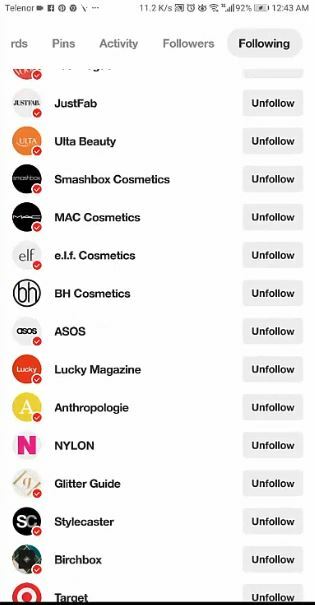 You can check your new pinterest followers in you followers list. From where you can follow them back. We can repeat the same process for 3 to 5 times in days after one or two hours for getting new followers. You need to try this during peek hours for better results. You will see that you will start getting the new followers automatically. Same method can be used for pinterest mobile app. You need to first un-follow these profile, then Follow back same like we see for PC. It required a very little time for this method and in return you will get the alot of followers. I hope this is informative for you and thank you for visiting this, have a Good Day. Please also let me know you if have any issue regarding growing the pinterest followers. The biggest problem I used to face in maintaining my Pinterest account was my irregularity in posts. I started searching for an automation tool, and then I discovered your videos. It is the right way for those who are unable to give time to their Pinterest account.